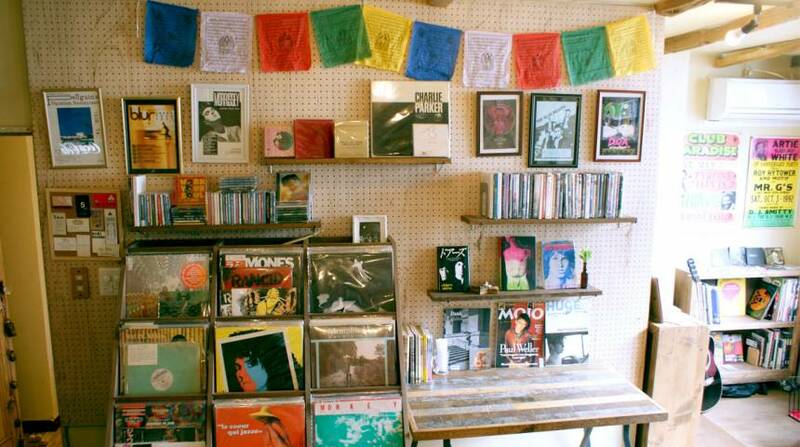 Ascending up a narrow staircase littered with cult movie/music posters, it’s clear that SUBstore, in the western Tokyo neighborhood of Koenji, is anything but a typical establishment. It’s hard to narrow the newly-opened bar-restaurant-record store down to any one genre or style; “vinyl bar” would probably be its nearest definition. But that just skims the surface: entering the living room-style open bar/dining area is like stepping into a hipster version of Pee Wee’s Playhouse, with a near-endless array of cult paraphernalia, from CDs and vinyl to 20th-century collectible toys—Pee Wee Herman included—and a bottle-lined bar eerily similar to a suburban rumpus room. 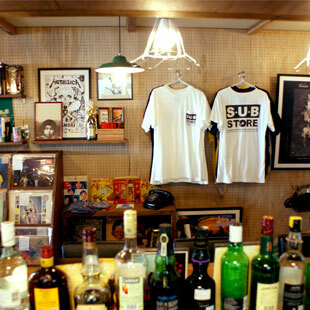 SUBstore was the brainchild of Andhika Faisal, who started three other stores by the same name in his native Indonesia before opening the Koenji store in March 2016. Faisal and his wife, Kumi Takaba, wear many hats, serving up a diverse food and drinks selection—with Faisal in the kitchen and Takaba in the bar, though both are one and the same—while simultaneously hosting regular events, including live music performances, DJ nights, art exhibitions, and movie screenings. Taking its name from the legendary Sub Pop record label, Faisal, who opened his first store in Jakarta with his younger brother and sister in 2014, wanted to create a hybridized record store where people could come and browse for vinyl and feel comfortable enough to stick around. After opening two more locations in Bandung and Bali, Faisal and Takaba moved to Tokyo with the thought of bringing these same ideas to Koenji, a neighborhood known for its music and arts culture. 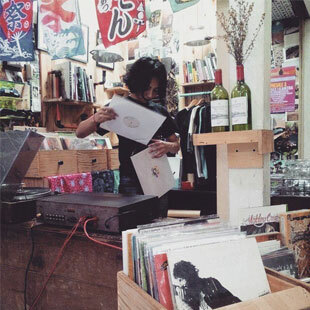 And things seem to be catching on: even a few short months since its opening, SUBstore feels like Koenji establishment, with a lively mix of young and old, local and foreign, soaking in the atmosphere late into the evenings. Word caught on when Faisal began encouraging people to bring in their own records—or pick from their extensive collection, which are all for sale—to be a DJ for a night. The store also holds regular live music shows, and recently hosted a benefit event for victims of the 2016 Kumamoto earthquake, with a performance by the Latin Jazz ensemble Travessia. But the thing that keeps customers coming back is undoubtedly the food and drink, which ties in with the store’s unique atmosphere. 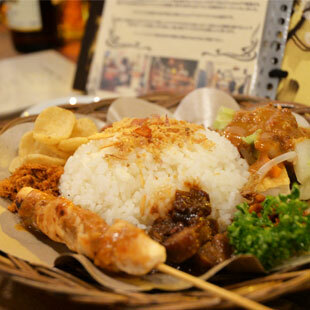 Food includes a range of Indonesian street foods, such as Nasi Gila (¥800), Nasi Goreng Jawa (¥700), and Mie Goreng Bakso (¥700). The Michael Jordan of the menu, however, is the Nasi Campur (¥900), which, much like the establishment in which it’s sold, is a bedazzling mix of Indonesian classics, including Rendang, dried Tempe, and salted fish. While a graphic designer by trade, Faisal fares very well in the kitchen. The food is beyond yum. The menu pairs well with a similarly eclectic selection of drinks, featuring Indonesian classic Arak-based cocktails (¥750), as well as an interesting range of imported beers (¥600-950). Faisal is clearly a child at heart. And SUBstore has the feel a better-conceived—and possibly better financed—teenager’s bedroom, with a little bit of all of Faisal’s favorite things. Luckily, chances are they’re all of your favorite things too. 3-1-12 Koenjikita, Suginami-ku. Open daily, 12-11pm. Koenji. Tel: 080-3496-3883. For information on upcoming events, including the forthcoming “Jazz is Philosophy” group art exhibition, visit http://substore.jimdo.com.